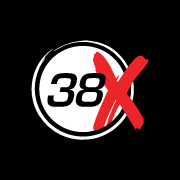 38X Fitness is a high intensity, functional group training studio that combines the best of both interval cardio and resistance training to maximise your workout and achieve results. Omg such an amazing place! Staff are so welcoming and helpful! Worked us hard! Will be back for sure!!! good instruction, but too much of a focus on one body part. I like to train the whole body at once, rather than arms one day, legs the next. Chery was fantastic. Have constructive feedback and made sure you were using weights correctly. Love these guys and this class! Kills me every time! ??? ?